If there's one thing that's true about the holidays, it's that making memories through rich traditions reign supreme. Some of our fondest childhood memories intertwine with the holiday season, so why shouldn't the gifts we choose to give this year reflect those cherished memories? Lifephoto offers a whole host of unique gift ideas based on your favorite photos. Now the photos you love can bring a smile to a loved one's face too. 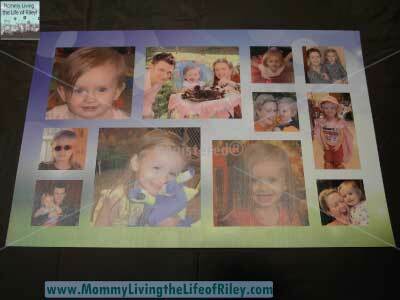 I had the chance to customize three different selections with my favorite photos. Keep reading to learn what I chose and see how they turned out! Photo Ornament, which retails for $24.95 each. Laptop Skin (15"), which retails for $10.00. Photo Playing Cards, which retail for $17.75 per deck. Receive 25% OFF your entire purchase with coupon code "HOLIDAY25". Lifephoto caught my eye because unlike a lot of other companies that offer greeting cards for every occasion, they also offer a myriad of unique products incorporating your choice of photos. In my opinion, Lifephoto is a one-stop shop for anything holiday related this year. If you are searching for personalized products either for yourself or to give as gifts, you just can't beat the selection at Lifephoto. First, I had the opportunity to review the custom laptop skin, an easy way to zing up your laptop! You have several options here. Either create your own computer laptop skin from the ground up, or spice things up with Lifephoto's pre-made graphics. Since I didn't have anything particular in mind, I decided to customize one of their pre-made templates with my own family photos. The laptop skins are printed on removable paper and come in 13”, 15” and 17” sizes. I really liked the way this skin turned out and adhering it to the cover of my laptop couldn't have been easier. Now, even if I'm away from home, I can instantly view my favorite pictures as well as show them off to any unsuspecting bystander I encounter! 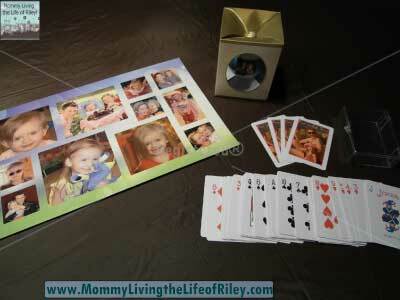 Next up, was the photo playing cards. I never thought about having a deck of cards with a favorite photo displayed on them before but had to admit that this was a terrific idea! Use a favorite photo for your poker fanatic and create playing cards that make excellent stocking stuffers. Play card games on those cold winter days when there is nothing else to do besides watch the snow fall. 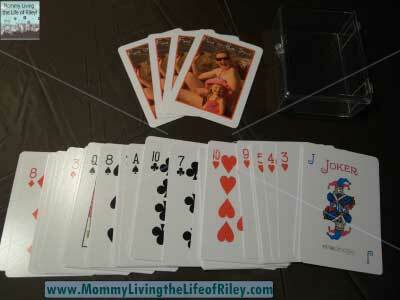 A standard 52-card deck comes with a protective plastic case and the playing cards are even laminated for durability. Last but not least is a brand-new holiday tradition for the Cleaver household inspired by Lifephoto...custom photo ornaments! My family sits for pictures every year for our annual Christmas card, but I never thought to actually create a keepsake ornament with our holiday picture on it. I love this idea and think that over the years, it will be so heartwarming to be able to look at our Christmas tree and reflect back on Christmases past to see my family through the years. Start a tradition by giving a photo holiday ornament too. If you’re looking for that unique gift children will collect over the years, this is it. They’ll think of you when they hang their ornament collection on their own Christmas tree someday. 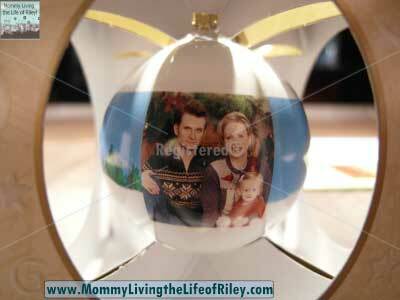 Holiday ornaments are an inexpensive way to buy everyone a little something with a personal touch. Have fun choosing photos to fit each person on your list, and polish off some Christmas shopping without ever leaving the house. Just leave it to Lifephoto! Disclosure: I received the selection of photo gifts seen above from Lifephoto in order to facilitate my review. No other compensation was received. This product review is based on my own personal experiences with this item and is completely honest and objective. Please read my recent review on the artwork by Sara Abbott from Gallery Direct and enter below for your chance to win one of THREE gift certificates!